Spacious weekend bag made in high quality leather. The perfect travel companion. 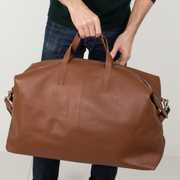 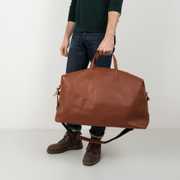 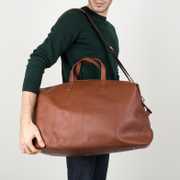 Spacious weekend bag sealed with a metal zipper carrying up to 35 L. The high-quality leather makes the bag durable. 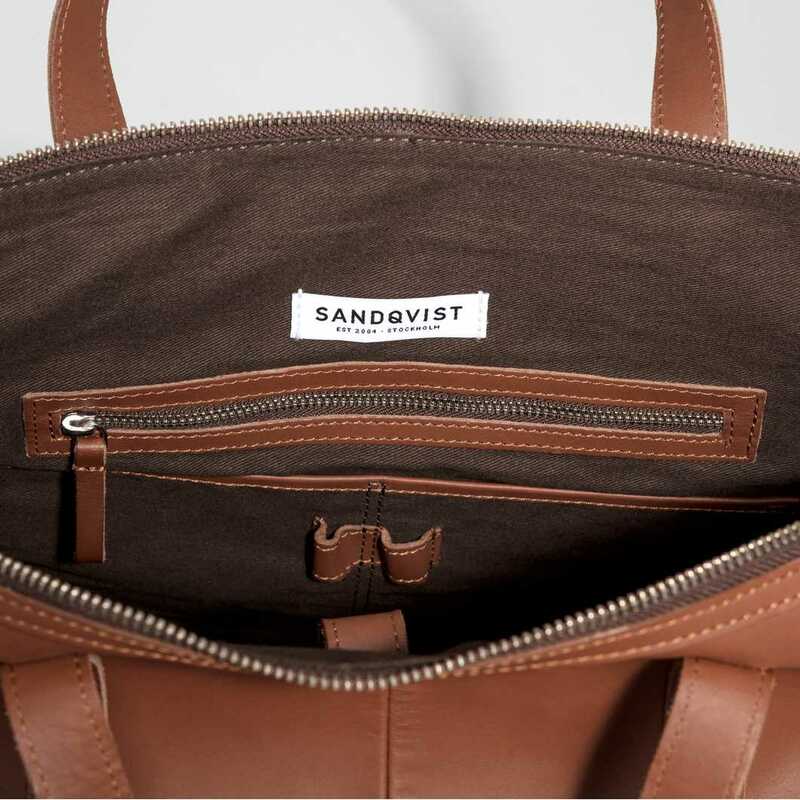 Organize your items easily with inner slip and zipper pockets. 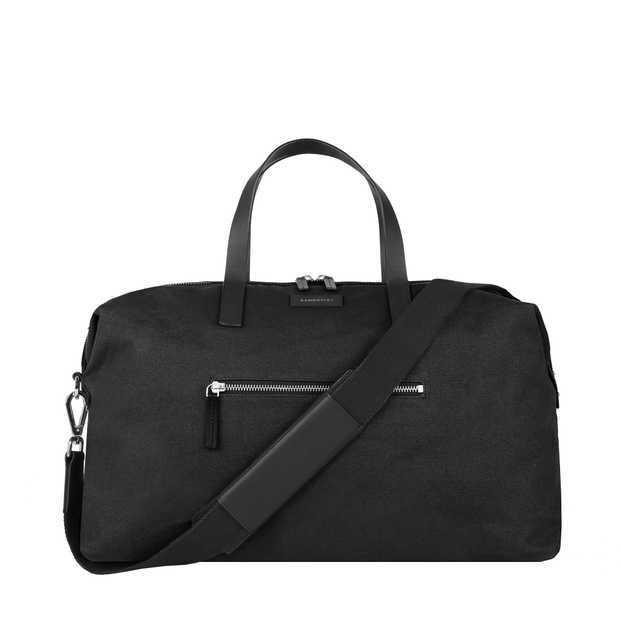 Inside features a laptop sleeve that fits most 15" laptops. 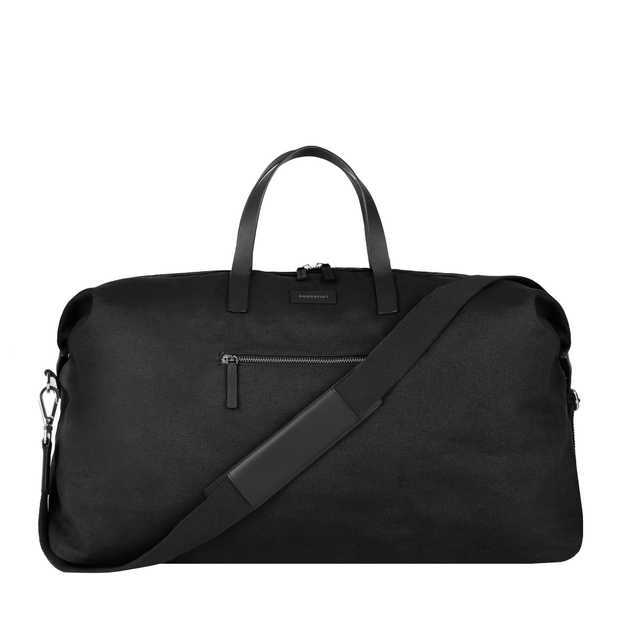 The shoulder strap is adjustable and removable, made in cotton webbing for comfort. 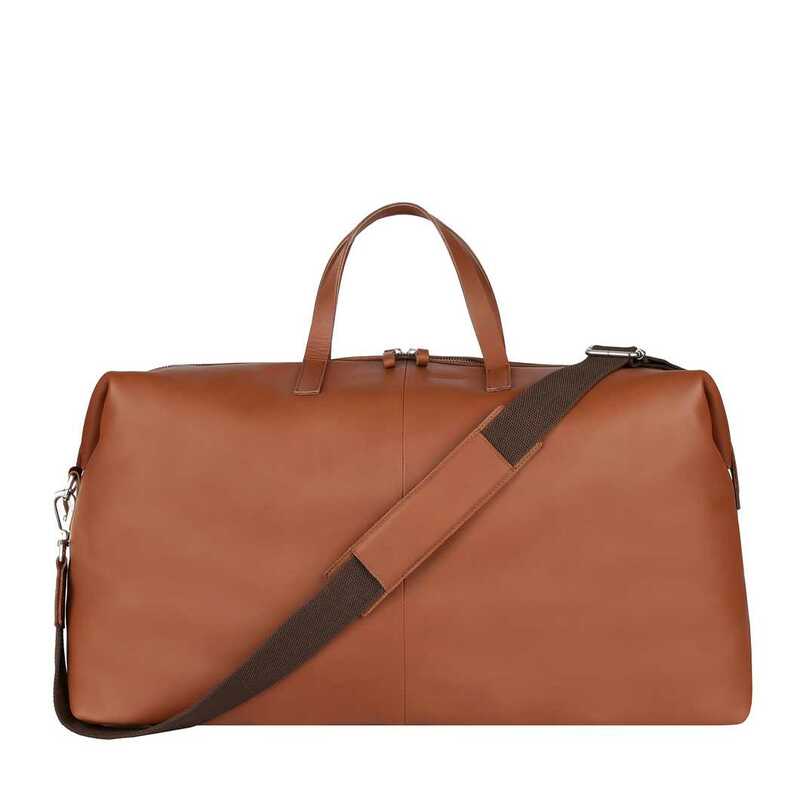 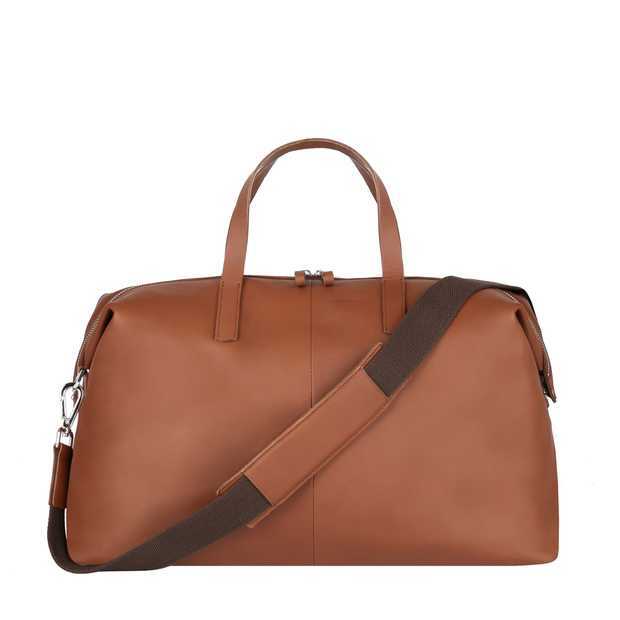 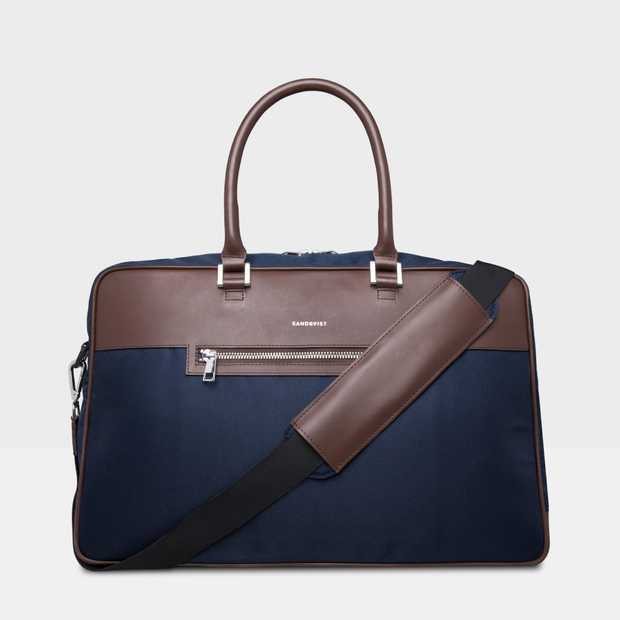 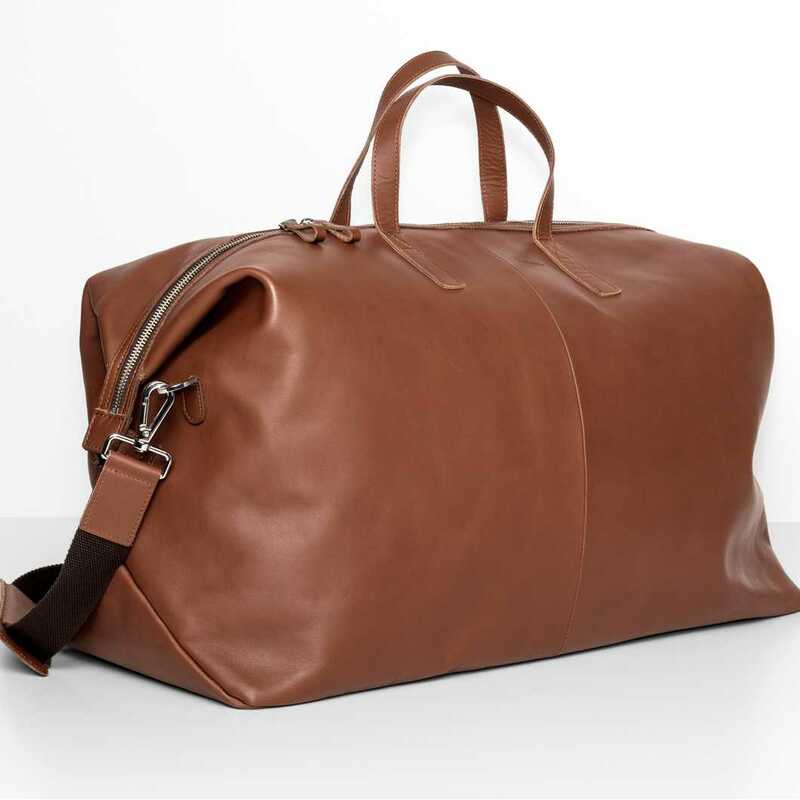 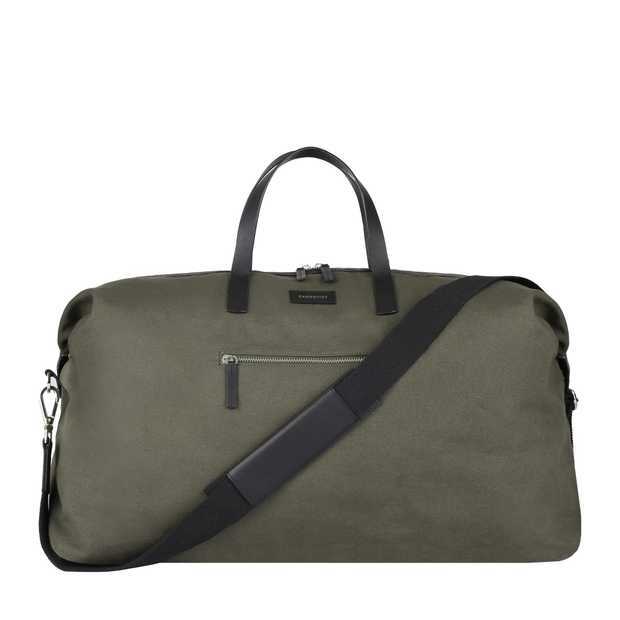 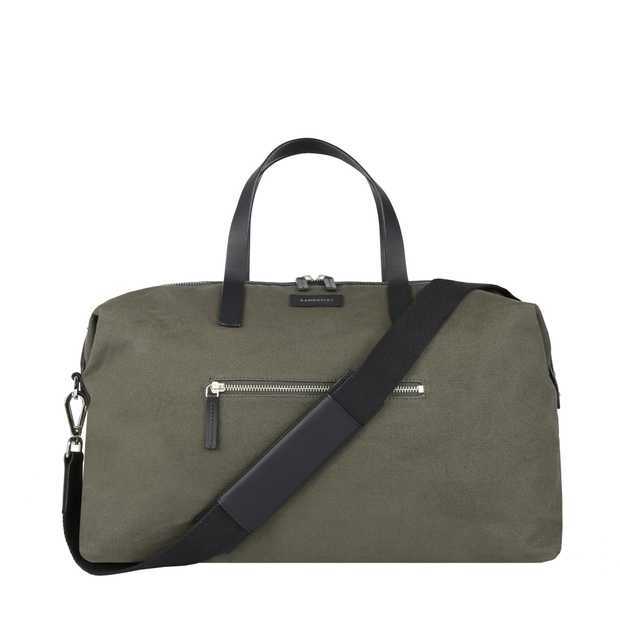 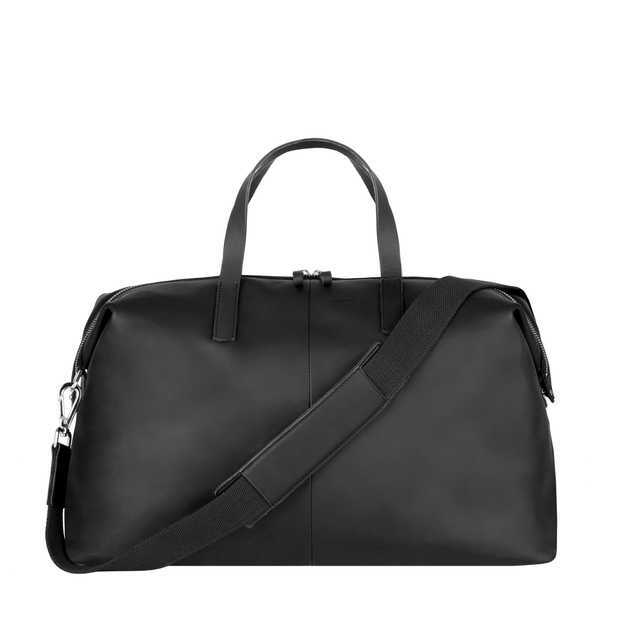 Its size and functionality combined with the sophisticated design makes DAMIEN the perfect travel companion. This future classic will gain more character over time and can last for generations if treated well. 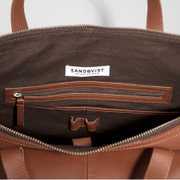 Material: Carefully selected vegetable tanned leather. YKK¨ metal zippers and black lining in 100% organic cotton.